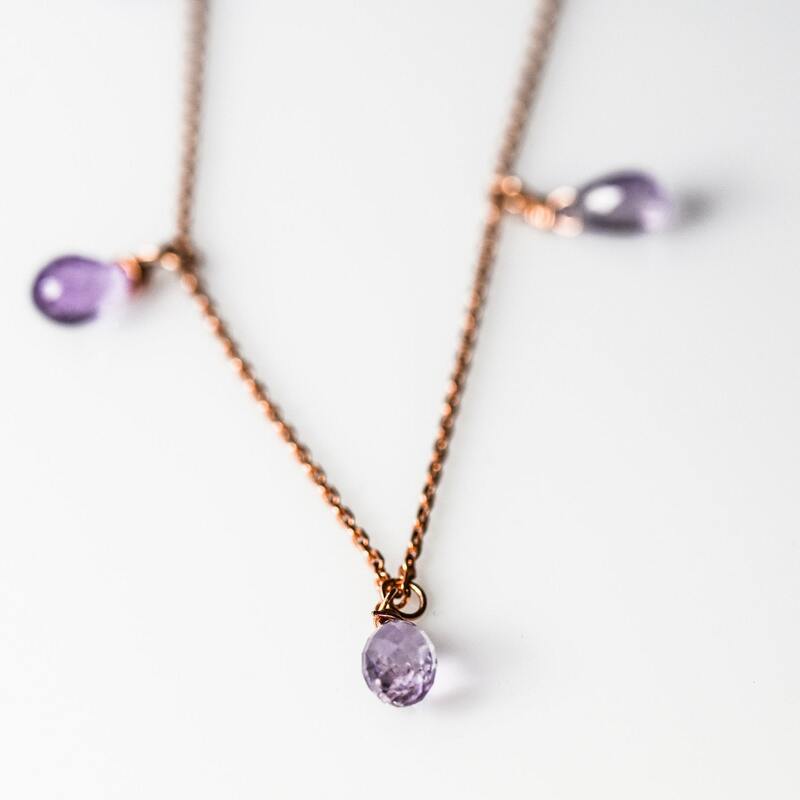 Beautiful amethyst necklace . There is a 2 inch extension on the chain so one chain can be used as 16+2 inches. 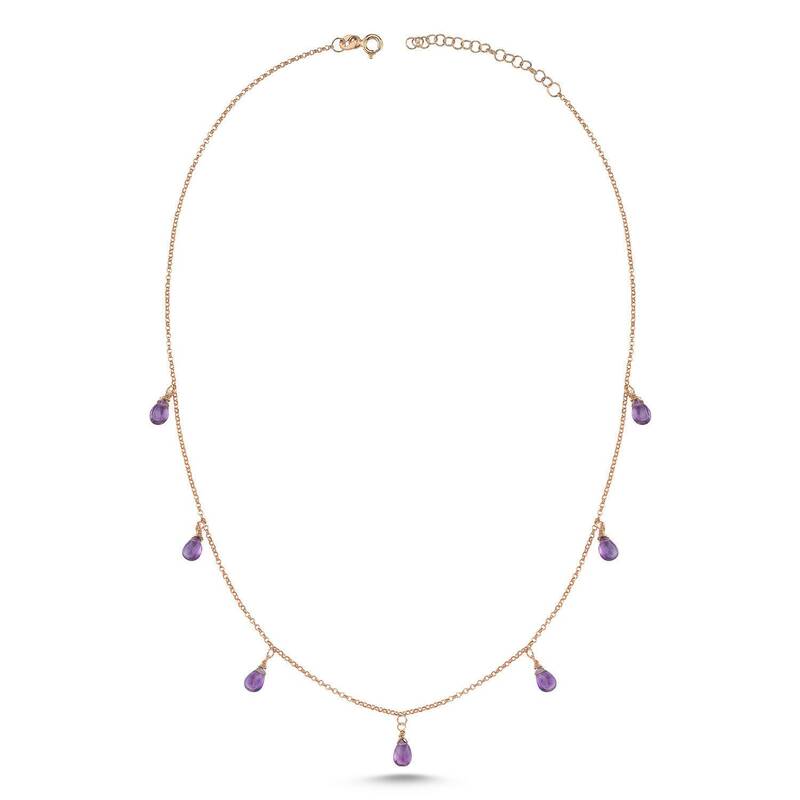 7 gemstone drop amethyst necklace. Simple but elegant. Great for daily use. 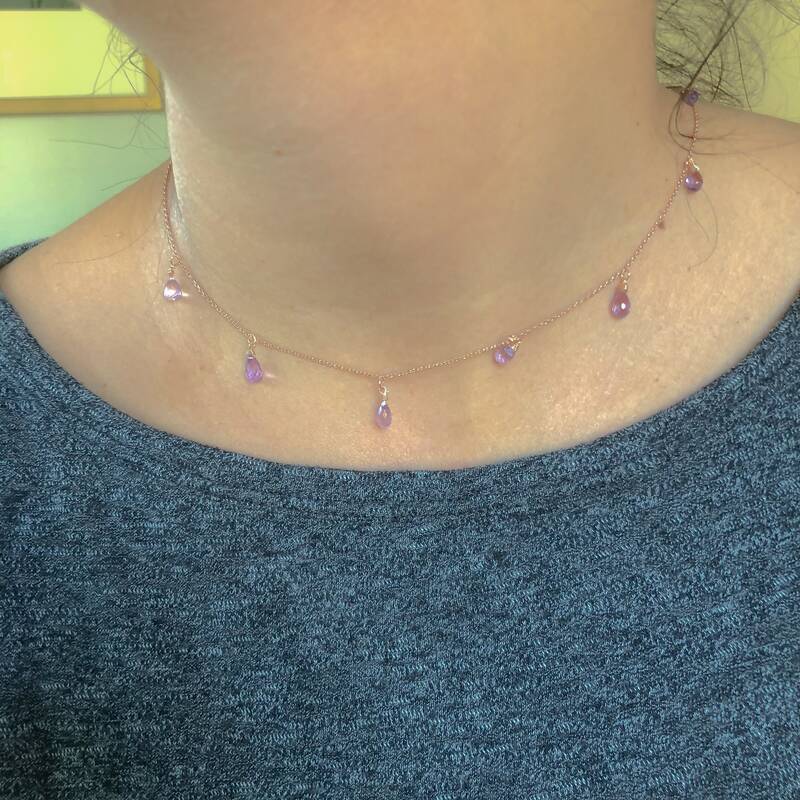 This purple crystal has traditionally been used to enhance spiritual powers, raise your vibration level and provide protection from negative energy. February Birthstone.